Canada’s commitment to the NATO military mission in Kandahar is expected to end in 2011. It is unclear whether this means an end to all Canadian military presence in Afghanistan. What is clear is that the army, which has deployed the majority of personnel to the theatre, is experiencing continued difficulty in generating the forces to send to the region. Multiple tours are common, reserve personnel are heavily engaged and attrition levels present a continuing challenge. The air force has contributed to the Afghanistan mission since the beginning. Camp Mirage, the Middle East support base, is manned predominantly by air force personnel and has been an essential airhead for theatre operational support, for both tactical airlift using C130 Hercules aircraft, and strategic airlift with the Airbus A310 and now the C17. During the earlier days of the campaign, it also hosted deployments of the Aurora maritime patrol aircraft in support of operations in the Gulf. Deployments of ships to the region have included Sea King helicopters in support of naval task force missions. In Afghanistan itself, the air force has provided Hercules transport and air drop capabilities. 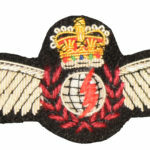 Air force personnel have been predominant in operations and support of the uninhabited aerial vehicle (UAV) fleet, which has provided invaluable surveillance and intelligence information. Many of the support personnel at the Kandahar base are drawn from air force resources, given the continuing high demand placed on their army counterparts. 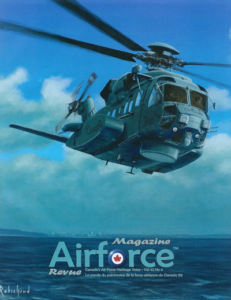 Recently, the size of the air force contingent has grown dramatically with the commencement of Chinook helicopter operations and the deployment of Griffon tactical aviation assets in support. Importantly, air operations are now conducted by an air wing in theatre, commanded by a senior air force officer, something not seen for some time. While the burden of the Afghanistan mission has fallen primarily on the army and has taken a predictable toll, the air force has seen a significant period of modernization over this period, with government support. In addition to the acquisition of C17, Chinook and UAV assets, the tactical airlift fleet will soon be replaced by the C130J. Further, the CF-18 fleet has recently been modernized, precision guided munitions procured and crews trained. Many new air force assets are or are about to be combat ready. Continuation of tactical and strategic airlift operations, in support of ISAF forces. Extension of the employment of Chinook and Griffon helicopters in support of land operations. Continuation of UAV operations with leased or purchased air vehicles. Deployment of a manned surveillance capability, that is the Aurora maritime patrol aircraft which, with modernization, has surveillance capabilities over land as well as over water. Deployment of CF18 fighters in support of ground operations and/or in the direct employment of air power on interdiction missions. Consideration of ‘enabling’ capabilities such as communications networks, logistics support, engineering support to facilities and airfields, and ground-based radar surveillance. Capabilities could continue to be fielded within the structure of an air wing for proper command and control. Overall, the range of air force capabilities presents a number of options for the Government to consider, if the decision is made to continue with a military presence in Afghanistan post-2011. In making a decision to continue with a contribution, it will be important for the Government to ensure that adequate resources are provided to ensure successful deployment. The air force, like the army and navy, has been under considerable financial pressure, and should be properly funded for expeditionary operations. There exist within the air force many capabilities, including several new and recently modernized assets, which can be effectively employed in operations abroad. Should the Government wish to continue to make a military contribution in Afghanistan post-2011, the capabilities of the air force present a number of options for consideration. There is a need to ensure that these important capabilities are kept viable and deployed effectively through provision of the necessary funding and personnel resources. The cost of carbon-based fuels and their negative impact on the environment demands that all practical steps be taken towards expending them responsibly. Although these fuels are essential for military operations, their consumption should be governed to some degree by the environmental impact. This can be achieved through close attention to their efficient use and to the employment of alternative means for training and currency requirements. Simulation has evolved over the years to provide very high-quality capabilities for familiarization, training, and mission rehearsal. While there will always be some circumstances which cannot be realistically simulated, the quality of training devices has matured to the point where most situations can be effectively represented. The cost of these devices may appear at first glance to be high, but the benefits in enabling effective, efficient training are extensive. The need for large quantities of carbon fuels to operate military aircraft has traditionally driven the air force to exploit the benefits of simulation. The need for this has never been greater for a number of reasons. The emphasis on reducing carbon footprint has captured the attention of the Canadian public and governments at all levels. DND must participate in reducing their footprint wherever practical. Notwithstanding the initial cost, acquiring and operating simulators is less expensive than actual flying. Savings can be applied to better, more comprehensive training or reallocated to other areas. For many aircraft fleets, where the operational life is typically 30-40 years, a comprehensive simulation facility, properly updated and maintained, can provide considerable cost and flying hour savings. With smaller fleets especially, simulators are often not procured for domestic installation. Rather, access is arranged with another owner to use their facility when needed. Alternatively, a simulator location may serve several dispersed units. While this may have some cost benefits for acquisition and operation, there are downsides to such an arrangement. When the simulator is located away from a main base, several days may be needed to travel to and from the site. The lost personnel time and cost of this may preclude crews from sessions which would then have to be accomplished in actual aircraft. When the user doesn’t directly control the curriculum or training modules, some inefficiencies in training may result. Where an operational aircraft is used to get to and from a simulator site, the flying hours spent may not be able to be used as productively as possible. Proficiency checks and instrument examinations may not be able to be done on a simulator if it has not been kept fully up to date. The chronic shortage of personnel will be aggravated if the most effective use of their training time is not made. Demographics suggest that this situation is not going to improve in the short term. To remain effective over time, simulators must be updated and maintained, and their configuration managed, to ensure that they do not become obsolete. This applies to any such devices, not those only used for aircrew training. Stewardship of the environment and reducing the carbon footprint is a collective responsibility shared by everyone, including the air force. The leadership taken by the air force in employing simulators, wherever practical, should be applauded and encouraged for other areas as well. Appropriate resources to enable the provision of a full, leading edge simulation capability should be given serious consideration for all large equipment projects. Issue: Replacing the Canadian Manned Fighter Capability. There is no substitute, now or in the foreseeable future, for manned fighter aircraft, which have played an important role in the capabilities of the Canadian Forces. 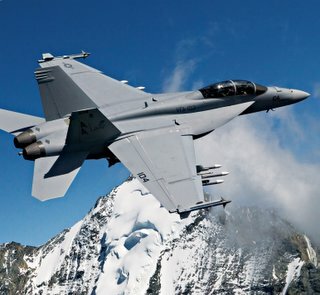 They have enabled air defence of Canadian airspace through partnership with the United States in NORAD (North American Aerospace Defence Command). As a deterrent during the Cold War, Canadian fighters were based in relatively large numbers in Europe with an ability to project force. They participated actively in the first Gulf campaign. Later in the 1990s, they were deployed to Aviano in Italy in conjunction with the Kosovo air-to-ground and air-to-air campaign. Since September 11, 2001 the need for air power to counter the potential terrorist threat has increased the importance for fighter protection of Canadian interests. Although it is taken for granted by many, the NORAD commitment continues to be an enduring role for the CF18 in the defence of Canada. Additionally, the need for air support to expeditionary operations continues, as witnessed by the current NATO mission in Afghanistan. This air support has been provided to Canadian troops by our NATO partners. CF18s are now one of the few means which Canada has to project air power. A significant investment is currently being made to upgrade 79 of the aircraft to modernize the capability ensure operational relevance to their estimated life expectancy in the 2017-2020 timeframe. There is every indication that there will be a continuing need for a manned fighter capability, both domestically and abroad. Fighter aircraft can provide significant firepower at a relatively low incremental cost of employment. They can be used to ensure freedom of action in the air, destruction of targets on the ground over vast geographic areas and rapid support to ground forces in contact with enemy forces. The employment of Canadian fighters in support of Canadian troops is consistent with the stated CF intent to operate using integrated joint task forces and would present an excellent opportunity to exploit this capable, modernized resource. There are capabilities which can only be provided by a manned fighter aircraft. Although uninhabited aerial vehicles will become increasingly capable in the years to come, there is unlikely ever to be a real alternative to fielding a manned aircraft in many situations, both domestically and on international missions. No uninhabited aerial vehicle will likely ever be able to equal the capability and flexibility inherent in the fighter man-machine interface, that is, the ability to observe, orient, decide and act where action is needed, and in real time. Future manned fighters will be needed in sufficient numbers to enable appropriate coverage of our large country (including the ever-more-important North), to enable the deployment of a reasonably-sized contingent (as was done during the Kosovo campaign), and to be able to surge when needed (as was the case immediately after 9/11). Acquisition of the appropriate modern weapons to ensure that the aircraft can continue to be effective as a multi-role fighter will also be needed, along with the necessary in-service support of the fleet. Additionally, interoperability with key allies and coalition partners must be a major consideration in the weapons system chosen. The time is approaching to consider replacement of the CF18 fleet, with the need to sign a contract in about 2012. The Canada First Defence Strategy, released in May of 2008, confirms the Government?s commitment to a manned fighter capability and its affordability in the long term defence budget. 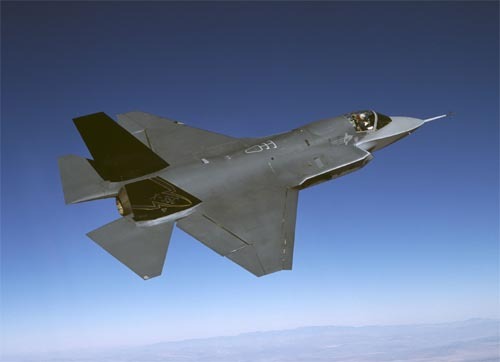 A careful analysis of future needs is underway to develop a basis for the design of an effective fighter force and to determine the specific requirements of a next-generation fighter. The next steps include the need for the Government to grant the approval necessary for acquisition to proceed, be it through a competitive process or by the down selection of a specific product. Canada will continue to need a manned fighter fleet for the foreseeable future. They are an essential element to the sovereignty and defence of our vast country, a role which has taken on new importance since 9/11. They are our only means of projecting the full spectrum of air power abroad and have done so effectively in the past. The investment being made to update and extend the CF18 fleet is needed and appropriate. 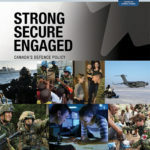 The Government must now address the need for a next-generation fighter, as stated in the Canada First Defence Strategy. A decision to proceed with acquisition of a new manned fighter should be considered soon to permit the process to proceed, ending in the timely signing of a contract and the orderly transition from the current fleet to a new one.
? ?It is generally accepted that global warming is causing increased attention in the North, given the possibility of increased access to resources, a greater level of activity overall, and the fact that Arctic nations may now feel that there is a greater threat to their security.? The North is increasingly perceived to have great value to these nations, Canada included.? In the words of Dr. Rob Huebert, an expert in this area, ?the main Arctic states are developing new policies that focus on both their foreign and their defence policies in the region?Notwithstanding their proclamations of cooperation, the Arctic states are now rearming.??? The Canada First Defence Strategy directs the CF to ?have the capacity to exercise control over and defend Canada?s sovereignty in the Arctic.??? This includes the need to ?Provide surveillance of Canadian territory and air and maritime approaches.?
? ?The Canadian Government has an integrated Northern Strategy which supports a vision of a new North by focusing on four priorities:? economic and social development, governance, environmental protection and sovereignty.?? Funding has been budgeted for such initiatives as a new Polar-class icebreaker, comprehensive mapping of the Arctic seabed and Northern geology, and other socio-economic undertakings.? From a defence and security perspective, the Government has identified the need for an Arctic and Offshore Patrol Ship, a deep water port at Nanisivik, a Northern training facility at Resolute Bay, and an expansion in the number of Rangers.? The Joint Unmanned Surveillance Target Acquisition System (JUSTAS) project identifies a need to be able to conduct surveillance in the North in addition to that already being done by other resources ? maritime patrol aircraft and ship patrols.
? ?While these actions are useful and welcomed, they fall short of what might be considered to be a comprehensive Northern Strategy, especially when it comes to defence and security issues.? It is believed that these proposals were based on a political perspective and not necessarily created as a result of any detailed study or analysis of the region and its strategic importance to Canada.? Whilst the need for socio-economic activity in the North is recognized, it should be complemented with actions to exert and maintain Canadian sovereignty throughout the region.? This applies to developing a capability to know what is occurring in the North, being able to investigate appropriately and dealing with a threat if necessary.? Throughout there is a need for sufficient acquisition funding and the resources for long-term sustainment to ensure that capabilities are maintained and evolved appropriately.?
? ?The employment of aerospace resources to monitor the North and support any actions taken there is critical to having a meaningful capability, given the area to cover and the vast distances involved.? Indeed, of the three service arms, only the Air Force has the wherewithal to carry out this task efficiently and effectively.? Primordial is the need to develop and implement a comprehensive surveillance strategy.? Following an assessment of the overall requirement (area to cover, frequency and persistence of surveillance, fidelity of data to gain useful information, etc), an implementation plan should be written to address the means to provide the necessary surveillance.? Implementation would then be focused on filling in any gaps from current capabilities.
? ?Recognizing that such an approach to Northern surveillance is a long term undertaking and will require considerable investment to acquire and sustain, implementation is likely to be gradual.? Current capabilities should be improved upon where possible and cost effective; new technologies can be exploited as they are developed; and cooperation with the US should be considered where appropriate.? Throughout, aerospace solutions will be fundamental to providing the capability needed.? These include space-based assets, manned and unmanned aircraft, and ground-based surveillance systems.
? ?The overall strategy should be to implement the capability to ensure that a practical, robust surveillance system is put in place to meet Canadian needs for situational awareness of our sovereign territory.? Importantly, individual capabilities must be complementary so as to be part of a holistic solution to surveillance and intelligence gathering in the North.
? ?Finally, having a robust and current surveillance capability in the North will also assist in the execution of another critical CF tasking, that of search and rescue, in this sparse and desolate region.
? ?With increasing interest in the North, Canadian capability to monitor and protect our sovereignty is becoming increasingly important to our security, economic and social interests.
? ?Surveillance of the North is key to ensuring sovereignty and a holistic approach is needed to assess needs and field a capable system.
? ?Aerospace capabilities are fundamental to Northern surveillance and related technologies should be exploited to the extent possible to satisfy the requirement. In the two decades since the end of the Cold War, global armed conflicts have seen a significant increase in the use of Unmanned (or Uninhabited) Aerial Vehicles (UAVs). ?The proliferation and well-documented successes of UAVs have, in turn, caused some to question the future relevance of manned aircraft systems of the type envisioned in the Canada First Defence Strategy. This paper seeks to outline the benefits and limitations associated with UAVs, so Canadians can put the current debate in perspective. Unlike drones, which are autonomous vehicles not requiring human intervention, UAVs are aircraft that do not carry human operators but still rely on humans to operate. They include fixed and rotary wing configurations and can be remotely operated or flown with varying degrees of autonomy. UAVs carry a wide variety of sensor payloads: Electro-Optics (EO); Infra-Red (IR); Synthetic Aperture Radar (SAR); Signal and Communications Intelligence (SIGINT and COMINT); Chemical, Biological and Radiation (CBR) detection systems; and radio relay equipment. ?Some UAVs, notably Uninhabited Combat Aerial Vehicles (UCAVs), are specifically designed for combat operations and are capable of delivering offensive weapons. In the beginning, UAVs were introduced primarily to conduct surveillance and reconnaissance missions, taking advantage of their ability to loiter for long periods. Subsequently, it was also recognized that UAVs could benefit military forces and national governments by avoiding the unnecessary exposure of pilots and other aircrew to the risks of being shot-down, captured and then exploited for political reasons. UAV missions have generally focused on the ?three Ds? : dull missions (those of a repetitive nature and/or long duration); dirty missions (those where the environment is or may be contaminated); and dangerous missions (those where the threat is deemed ?excessive?). In addition, considerable research in the US and elsewhere has recently gone into examining whether UCAV-type platforms might eventually take on at least some of the functions historically performed by manned fighter aircraft. Canada has adopted the NATO classification guide for UAVs: Class I ? Less than 150 kg; Class II ? 150 to 600 kg; and Class III ? more than 600 kg. Class III UAVs are further sub-divided into three categories based on increasing degrees of capability and complexity: Medium Altitude Long Endurance (MALE); High Altitude Long Endurance (HALE); and Strike/Combat. The Canadian Forces have gained considerable experience operating UAVs in Afghanistan, with the Air Force operating the Class II SPERWER and more recently the Class III Heron and the Army operating the Class I Scan Eagle. The Navy is also currently assessing Scan Eagle for maritime and Arctic operations. The Canadian Forces have a major project underway to acquire a fleet of Class III MALE UAVs as part of the Joint Unmanned Surveillance and Target Acquisition System (JUSTAS) project. The aim is to acquire a platform capable of achieving ranges in excess of 1000nm; having more than 18 hours endurance; able to carry multiple payloads (EO/IR, SAR, Laser Targeting and SIGINT); having the ability to deliver precision guided missiles (PGMs); and usable over land, sea and in the Arctic. Survivability. To date, UAVs have been employed within relatively benign threat environments against enemies lacking sophisticated air defences or effective electronic counter measures (jammers). Even so, losses ? most through accidents but some as the result of enemy action ? have been significant <#_ftn1> . Employability. From a Canadian perspective, UAVs have not yet been extensively exposed to challenges associated with flight in Canada?s high Arctic regions or over our maritime approaches during inclement weather conditions. That said, UAV manufacturers are currently working hard to develop platforms capable of operating in a much wider variety of climates and conditions than has hitherto been the case. Data Transfer. UAVs require very high bandwidth to transmit the data needed to monitor and control the aircraft and to relay intelligence and other information gathered back to a ground control station. In the case of UCAVs, bandwidth limitations may well preclude the deployment of decisive numbers of such vehicles for complex combat/strike missions, at least until much more advanced artificial intelligence and autonomous systems become available <#_ftn2> . In northern Canada, operations of UAVs are currently limited to line of sight operations due to the lack of satellite communications above 70N. Personnel Requirements. While UAVs are often touted as ?manpower savers?, in reality they too, require significant numbers of personnel for operations, maintenance and data exploitation. Long loiter times, while operationally beneficial, also mean that UAV units must be well-manned to take full advantage of the increased ?on-station? time available. Since it is expected that UAV operations in the CF will be carried out in addition to current air operations (fighter, transport, tactical helicopter, long range patrol etc) additional resources will almost certainly be needed. UCAV Development. In the particular case of replacing Canada?s CF-18s, some journalists have suggested this be done using UCAVs rather than Canada acquiring another manned fighter. Given the state of UCAV development (particularly the lack of any realistic air-to-air combat capability) it is inconceivable that an operationally viable platform will be available before the CF-18?s scheduled retirement starting in 2017. Airspace Management. For operations within controlled airspace ? indeed any place in which UAVs have to interact with commercial and private air traffic ? they will need to be equipped with onboard equipment and capabilities that allow them to avoid collisions with other airspace users. While separating traffic that is operating in accordance with Instrument Flight Regulations will be possible in the near term, operations under more dynamic conditions or where Visual Flight Regulations are being followed will continue to be challenging. Cost. UAV proponents often cite lower costs as a significant benefit of these systems over manned aircraft. While this situation is certainly true in the case of smaller vehicles, the increasing complexity of UAVs is such that, for higher-end, platforms, the costs involved are similar to those associated with manned aircraft (the Global Hawk, a Class III HALE UAV, costs approximately $75M). UAVs have had a dramatic impact on the nature of warfare and the Canadian Forces have already built up a considerable repository of operational and technical expertise in their operation. The current CF focus on the JUSTAS program is expected to move the yardsticks considerably and, assuming the system can be deployed as planned, the CF will acquire a formidable ISR platform (one potentially with an air-to-surface offensive capability as well). Notwithstanding, there are still many technological and other issues to be resolved. ?It will be essential that DND/CF planners have a sound ?capabilities roadmap? available as well as a clear understanding of ?cost tradeoffs? to ensure the acquisition of UAV capabilities is carried out in an efficient and effective manner. UAVs have provided significant operational benefits to Canadian and Allied forces operating in Afghanistan and have allowed Canadian Forces members to become much more knowledgeable about their operational employment. They are a ?force multiplier? asset, one that provides much needed data to decision makers on the ground. The Canadian Forces and the Air Force should be encouraged and supported by government in respect to the JUSTAS program so that the Canadian Forces can continue to develop experience and knowledge and, ultimately, field a robust UAV capability that meets Canada?s Intelligence, Surveillance and Reconnaissance (ISR) requirements. Given the lack of an available multi-role UCAV option, government should continue efforts to replace the CF18 with a suitable manned replacement fighter aircraft beginning in 2017. Au cours des deux d?cennies suivant la fin de la Guerre froide, ? l? ?chelle mondiale, les conflits arm?s ont pr?sent? une augmentation importante de l?utilisation de v?hicules a?riens sans pilote (ou non habit?s) (UAV). La prolif?ration et les succ?s bien document?s des UAV, quant ? eux, ont pouss? certaines personnes ? remettre en question la pertinence future des avions pilot?s du type envisag? dans la Strat?gie de d?fense Le Canada d’abord. Le pr?sent expos? vise ? d?crire bri?vement les avantages et les limites associ?s aux UAV, afin que les Canadiens puissent mettre le d?bat actuel en perspective. Contrairement aux drones, qui sont des v?hicules autonomes ne n?cessitant pas d?intervention humaine, les UAV sont des a?ronefs qui ne transportent pas de pilote humain, mais dont des humains doivent n?anmoins assurer le pilotage ? distance. Ils comprennent des configurations ? voilure fixe et ? voilure tournante, et peuvent ?tre t?l?pilot?s ou mis en vol ? divers degr?s d?autonomie. Les UAV peuvent transporter une gamme vari?e de charges d’instruments de d?tection : ?lectro-optique (EO), infrarouge (IR), radar ? synth?se d’ouverture (SAR), renseignement d’origine ?lectromagn?tique et renseignement transmissions (SIGINT et COMINT), syst?mes de d?tection chimiques, biologiques et radiologiques (CBR), et mat?riel de retransmission radiophonique. Certains UAV, notamment les v?hicules a?riens de combat sans pilote (UCAV), sont con?us express?ment pour les op?rations de combat et ont la capacit? de lancer des armes offensives. Initialement, l?introduction des UAV visait principalement ? effectuer des missions de surveillance et de reconnaissance et d?ainsi mettre ? profit leur capacit? de faire des vols stationnaires sur de longues p?riodes. Par la suite, on a pris conscience ?galement que les UAV pourraient ?tre utiles aux forces militaires et aux gouvernements nationaux, en leur permettant d? ?viter l?exposition non n?cessaire des pilotes et des autres membres des ?quipages aux risques d? ?tre abattus, faits prisonniers, puis exploit?s pour des raisons politiques. En g?n?ral, les missions des UAV ont concern? les ? trois D ? : les missions monotones (celles de nature r?p?titive ou de longue dur?e), les missions suicidaires (celles o? l?environnement est ou peut ?tre contamin? ), et les missions dangereuses (celles o? la menace est consid?r?e comme ? excessive ?). De plus, r?cemment, aux ?.-U. et ailleurs, des recherches consid?rables visaient ? d?terminer si des plateformes du type des UCAV pourraient ?ventuellement assumer au moins un certain nombre des fonctions assur?es traditionnellement par des avions de chasse pilot?s. Le Canada a adopt? le guide de classification de l?OTAN pour les UAV : Classe I ? moins de 150 kg, Classe II ? de 150 ? 600 kg, et Classe III ? plus de 600 kg. Les UAV de Classe III sont sous-divis?s en trois cat?gories selon un degr? croissant de capacit? et de complexit? : moyenne altitude et longue endurance (MALE), haute altitude et longue endurance (HALE), et attaque/combat. Les Forces canadiennes ont acquis une exp?rience consid?rable dans le t?l?pilotage des UAV en Afghanistan, la Force a?rienne ayant t?l?pilot? le SPERWER, de Classe II, et, plus r?cemment, le Heron, de Classe III, et l?Arm?e ayant t?l?pilot? le Scan Eagle, de Classe I. Par ailleurs, la Marine ?value actuellement le Scan Eagle pour les op?rations maritimes et arctiques. Les Forces canadiennes ont un grand projet en cours, qui vise ? acqu?rir une flotte d?UAV MALE de Classe III, dans le cadre du projet du Syst?me interarm?es de surveillance et d?acquisition d?objectifs au moyen d?UAV (JUSTAS). Le but est d?acqu?rir une plateforme ayant la capacit? d?atteindre des rayons d?action de plus de 1 000 nm, ayant une autonomie de plus de 18 heures, ayant la capacit? de transporter des charges multiples (EO/IR, SAR, marquage d’objectif au laser et SIGINT), ayant la capacit? de lancer des missiles ? guidage de pr?cision (PGM), et utilisables au-dessus de la surface de la terre, au-dessus de la mer et dans l?Arctique. Surviabilit?. ? ce jour, les UAV ont ?t? employ?s dans des environnements o? la menace ?tait relativement b?nigne et contre des ennemis sans d?fense a?rienne de pointe, ni contre-mesures ?lectroniques efficaces (brouilleurs). N?anmoins, les pertes, dont la plupart ?taient le r?sultat d?accidents, mais certaines ont ?t? occasionn?es par l?action de l?ennemi, ont ?t? consid?rables. <#_ftn1>. Employabilit?. D?un point de vue canadien, les UAV n?ont pas ?t? expos?s de mani?re prolong?e aux d?fis associ?s au vol dans les r?gions du Haut-Arctique du Canada ou au-dessus de nos approches maritimes dans des conditions m?t?orologiques d?favorables. Cela dit, les fabricants d?UAV travaillent actuellement de mani?re acharn?e ? ?laborer des plateformes ayant la capacit? de fonctionner dans une gamme beaucoup plus large de climats et de conditions, que cela n?a ?t? le cas jusqu?ici. Transfert de donn?es. Les UAV n?cessitent une bande passante tr?s large pour transmettre les donn?es n?cessaires pour les surveiller et les contr?ler, et pour retransmettre le renseignement et les autres informations recueillies au poste de contr?le au sol. Dans le cas des UCAV, les limites en mati?re de bande passante pourraient bien emp?cher le d?ploiement d?un nombre d?terminant de ces v?hicules pour des missions complexes de combat et d?attaque, du moins, jusqu?? ce qu?une intelligence artificielle et des syst?mes autonomes beaucoup plus avanc?s soient disponibles. <#_ftn2> Dans le Nord canadien, les op?rations des UAV se limitent actuellement ? des op?rations de port?e optique, en raison de l?absence de t?l?communications par satellite au-dessus du 70e parall?le nord. Exigences en mati?re de personnel. Bien que l?on clame souvent que les UAV permettent de r?duire le personnel, dans les faits, ils n?cessitent, eux aussi, un nombre consid?rable de membres du personnel pour les op?rations, l?entretien et l?exploitation des donn?es. De longues p?riodes de vol stationnaire, quoique b?n?fiques sur le plan op?rationnel, signifient ?galement que les unit?s d?UAV doivent ?tre dot?es d?un personnel suffisant pour profiter pleinement du temps sur zone accrue disponible. ?tant donn? que l?on s?attend ? ce que les op?rations d?UAV des FC s?ajoutent aux op?rations a?riennes actuelles (avions de chasse, avions de transport, h?licopt?res tactiques, patrouilles ? long rayon d’action, etc. ), des ressources suppl?mentaires seront presque certainement n?cessaires. D?veloppement des UCAV. Dans le cas particulier du remplacement des CF-18 du Canada, certains journalistes ont propos? de l?effectuer ? l?aide d?UCAV plut?t que le Canada acqui?re un autre avion de chasse pilot?. Compte tenu de l? ?tat d?avancement du d?veloppement des UCAV (et, plus particuli?rement, de l?absence de toute capacit? r?elle de combat air-air), il est inconcevable qu?une plateforme viable sur le plan op?rationnel soit disponible avant le retrait du service pr?vu des CF-18, d?butant en 2017. Gestion de l?espace a?rien. Pour les op?rations ayant lieu ? l?int?rieur de l?espace a?rien contr?l? ? et, ? vrai dire, ? tout endroit o? les UAV doivent interagir avec la circulation a?rienne commerciale et priv?e ?, ils devront ?tre munis de capacit?s et d?un ?quipement de bord leur permettant d? ?viter les collisions avec les autres utilisateurs de l?espace a?rien. Bien que la s?paration du trafic respectant les r?gles de vol aux instruments sera possible ? court terme, les op?rations ayant lieu dans des conditions plus dynamiques ou aux endroits o? les r?gles de vol ? vue s?appliquent continueront de pr?senter un d?fi. Co?t. Les d?fenseurs des UAV mentionnent souvent la r?duction des co?ts comme avantage important de ces syst?mes par rapport aux a?ronefs pilot?s. Bien que cela soit certainement vrai dans le cas des petits v?hicules, la complexit? grandissante des UAV est telle que, pour les plateformes de plus haut de gamme, les co?ts ? assumer sont semblables ? ceux associ?s aux a?ronefs pilot?s (le Global Hawk, un UAV HALE de Classe III, co?te environ 75 M$). Les UAV ont eu un impact ph?nom?nal sur la nature de la guerre et les Forces canadiennes ont d?j? accumul? une ?tendue consid?rable d?expertise op?rationnelle et technique en ce qui concerne leur fonctionnement. ?tant donn? que les FC se concentrent actuellement sur le programme JUSTAS, on s?attend ? ce que des perc?es consid?rables soient r?alis?es, et, en supposant que le syst?me puisse ?tre d?ploy? comme pr?vu, les FC acquerront une plateforme de RSR puissante (qui aura peut-?tre ?galement une capacit? offensive air-sol). Cependant, il reste toujours plusieurs d?fis technologiques et autres ? surmonter. Il sera essentiel que les planificateurs du MDN et des FC aient ? leur disposition une feuille de route pr?cise sur les capacit?s et qu?ils comprennent bien les choix en mati?re de co?ts, afin de s?assurer que l?acquisition des capacit?s d?UAV se fera de mani?re efficiente et efficace. Les UAV ont apport? des avantages op?rationnels importants aux Forces canadiennes et alli?es en activit? en Afghanistan et ont permis aux membres des Forces canadiennes d?en apprendre bien davantage sur leur emploi op?rationnel. Ils constituent un actif ? multiplicateur de force ?, qui permet de fournir des donn?es tr?s utiles aux d?cisionnaires au sol. Les Forces canadiennes et la Force a?rienne devraient ?tre encourag?es et appuy?es par le gouvernement en ce qui concerne le programme JUSTAS, de sorte que les Forces canadiennes puissent continuer d?acqu?rir de l?exp?rience et des connaissances, et, ultimement, mettre en service une capacit? d?UAV robuste qui r?pond aux besoins du Canada en mati?re de renseignement, surveillance et reconnaissance (RSR). ?tant donn? qu?aucune option d?UCAV multir?les n?est disponible, le gouvernement devrait poursuivre ses efforts visant ? remplacer le CF-18 par un avion de chasse pilot? de remplacement ? compter de 2017. The Boeing C-17 Globemaster III (RCAF CC-177) carries four times the load and travels more than twice as far as the CC-130J Hercules aircraft. Its design characteristics give it the ability to operate into and out of short runways and austere airfields carrying large, outsize equipment such as armoured vehicles, helicopters, earth movers and disaster response. The CC-117 is a strategic aircraft that also has tactical capabilities. In just five years, the CC-117 has enabled the Government of Canada to respond to a wide array of domestic and global humanitarian missions and expeditionary operations. Domestically, annual support to Op NANOOK in the Arctic and the re-supply of RCAF Station Alert are prime examples of the aircraft?s capabilities. Internationally, the humanitarian relief mission to Haiti, the air bridge between Canada and Afghanistan and the rapid transfer of support equipment to the Libyan campaign clearly demonstrate the aircraft?s unique expeditionary capabilities. In fact, it was these attributes that enabled the Government to respond in Haiti and Libya within the first few hours of these crises, as the Prime Minister himself has acknowledged. The RCAF has established a tasking level of approximately 80%, meaning that roughly three out of its four CC-117 aircraft are expected to be available for operations at any one time. This is a level of readiness and availability that far exceeds historical RCAF and allied air force standards. Operating a relatively small fleet of aircraft can have an inordinate life cycle cost if all spare parts, maintenance and support are established uniquely for that fleet. Canada has avoided this problem with the CC-177 by joining the Global Support Program (GSP), which allows certain support costs associated with the aircraft to be apportioned on a pro-rata basis across all users (more than 200 globally). A requisite of the GSP program, however, is that all aircraft in the global fleet must be maintained and upgraded to a common standard, requiring that they undergo a ?heavy maintenance? program approximately once every five years. The process takes about five months to complete and, given the heavy utilization rate of Canada?s CC-177 fleet over the past five years, all four of our aircraft will have to go through the program during the next two years. What this means in practical terms is that the tasking rate the RCAF has maintained in the past will not be attainable over the next two years ? and this same situation will present itself every four to five years thereafter. In other words, Canada will face periods where the availability of strategic air mobility will be severely curtailed and the CF?s ability to respond to a crisis potentially jeopardized. To some extent, the ?operational pause? the Canadian Forces are now experiencing may partially offset the near-term pressure on the CC-177 fleet. However, no one can predict when or where the next humanitarian disaster or global crisis will occur, the recent earthquake off the BC coast and the current hostilities on Turkey?s border with Syria presenting clear reminders of the uncertain world in which we live. Canada?s Northern Strategy, a key Government priority, also relies heavily on air mobility, as evident in the identification by Canadian Joint Operations Command of ?strategic mobility? as the second most important ?lesson learned? from recent Op NANOOK exercises in the Arctic. As the CF postures to better address the Government?s mandate for an increased presence in this extremely harsh and expansive region of Canada?s sovereign territory, further attention to air mobility will clearly be required. The unprecedented flexibility that exists with the CC-177 fleet has given the Canadian Government and the CF a powerful tool with which to respond to national and international events. Canadians have rightly come to expect that, should a crisis occur, the Government and the CF will have the ability to respond. Key allies such as Great Britain and Australia, in recognition of the value of strategic airlift as well as the potential for the C-17 production line to close in the near future, have chosen to expand their original C-17 fleets by 50% or more: the RAF now operates eight C-17s and the RAAF six. Boeing is continuing to pursue additional sales for the C-17 and the company has, for now, supported continued production until late 2015. However, this is tentative and if Canada truly wants to acquire the capacity and flexibility that would come with an additional CC-177 aircraft, it would need to take a decision very soon. An additional CC-117 would allow the government to avoid or reduce appreciably the requirement to use contracted off-shore airlift resources to support CF operations, resulting in significant annual savings which could be used to offset acquisition costs associated with an extra aircraft. The need for contracted airlift may be especially acute should unforecasted demands occur during the heavy maintenance period described above. An additional CC-177 aircraft for Canada would increase the number of aircraft available for tasking by about 25% and also allow the RCAF to spread utilization over a larger fleet. This would provide the Government with an enhanced ability to respond to domestic and international crises, support its evolving strategy for exercising sovereignty over the lands and waters in Canada?s vast northern areas and reduce the costs associated with contracted airlift. The Air Force Association of Canada strongly recommends the Canadian Government acquire at least one additional CC-177 Globemaster III aircraft for the RCAF as soon as possible. Le Boeing C-17 Globemaster III (ARC CC-177) porte quatre fois la charge et voyage plus de deux fois plus loin que l?a?ronef CC-130J Hercules. Les caract?ristiques de sa conception lui donnent la capacit? de d?coller et d?atterrir sur des pistes courtes et des terrains d?aviation inhospitaliers en transportant de l? ?quipement de grande dimension, hors gabarit, comme des v?hicules blind?s, des h?licopt?res, des engins de terrassement et du mat?riel d?intervention en cas de catastrophe. Le CC-117 est un avion strat?gique qui a ?galement des capacit?s tactiques. En ? peine cinq ans, le CC-117 a permis au gouvernement du Canada de r?pondre ? un vaste ?ventail de missions humanitaires et d?op?rations exp?ditionnaires au Canada et ailleurs dans le monde. Au pays, le soutien annuel de l?Op?ration NANOOK en Arctique et le r?approvisionnement de la Station de l?ARC Alert sont de parfaits exemples des capacit?s de cet a?ronef. Sur la sc?ne internationale, la mission de secours humanitaire ? Ha?ti, le pont a?rien entre le Canada et l’Afghanistan et le transfert rapide d? ?quipement de soutien ? la campagne libyenne prouvent clairement les capacit?s exp?ditionnaires uniques de cet a?ronef. En fait, ce sont ces attributs qui ont permis au gouvernement d?intervenir en Ha?ti et en Libye d?s les premi?res heures de ces crises, comme l?a reconnu le premier ministre lui-m?me. L?ARC a ?tabli un niveau d?attribution de missions d?environ 80 %, ce qui veut dire, ? toutes fins pratiques, que trois de ses quatre a?ronefs CC-117 devraient ?tre disponibles en tout temps pour participer ? des op?rations. Il s?agit d?un niveau de pr?paration et de disponibilit? qui d?passe largement les normes historiques de l?ARC et de la force a?rienne alli?e. Exploiter une flotte d?a?ronefs relativement petite peut repr?senter un co?t anormalement ?lev? du cycle de vie si l?ensemble des pi?ces de rechange, de l?entretien et du soutien ne sont ?tablis que pour cette flotte. Le Canada a ?vit? ce probl?me avec le CC-177 en se joignant au Programme mondial de soutien (PMS), ce qui permet de r?partir certains frais de soutien li?s ? l?a?ronef au prorata parmi l?ensemble des utilisateurs (soit plus de 200 utilisateurs dans le monde entier). Une condition requise du PMS est toutefois que la totalit? des a?ronefs faisant partie de la flotte mondiale doivent ?tre entretenus et am?lior?s de mani?re ? respecter une norme commune, exigeant que ces appareils fassent l?objet d?un programme d? ? entretien lourd ? environ une fois ? tous les cinq ans. Le processus prend environ cinq mois et, ?tant donn? le taux ?lev? d?utilisation de la flotte de CC-177 du Canada au cours des cinq derni?res ann?es, la totalit? de nos quatre appareils devront ?tre soumis aux exigences du programme au cours des deux prochaines ann?es. Ce que ce cela veut dire en termes pratiques est que le niveau d?attribution de missions que l?ARC a maintenu dans le pass? ne sera pas atteignable au cours des deux prochaines ann?es ? et que cette m?me situation se pr?sentera ? tous les quatre ? cinq ans par la suite. En d?autres mots, le Canada fera face ? des p?riodes au cours desquelles la disponibilit? de mobilit? a?rienne strat?gique sera lourdement restreinte et la capacit? des FC ? r?pondre ? une situation de crise sera potentiellement compromise. Dans une certaine mesure, la ? pause op?rationnelle ? que vivent actuellement les Forces canadiennes peut compenser partiellement la pression ? court terme sur la flotte de CC-177. Cependant, personne ne peut pr?dire quand ou o? surviendra la prochaine catastrophe pour l?humanit? ou crise mondiale, le tremblement de terre r?cent survenu au large de la c?te de la Colombie-Britannique et les hostilit?s actuelles le long de la fronti?re turque avec la Syrie servant ? nous rappeler clairement du monde incertain dans lequel nous vivons. La Strat?gie pour le Nord du Canada, l?une des priorit?s essentielles du gouvernement, d?pend ?galement fortement de la mobilit? a?rienne, comme le montre de fa?on ?vidente la d?termination de la ? mobilit? strat?gique ?, par le Commandement des op?rations interarm?es du Canada, comme la deuxi?me le?on retenue la plus importante ? la suite des r?cents exercices tenus dans le cadre de l?Op?ration NANOOK en Arctique. Au moment o? les FC se placent en position pour mieux r?pondre au mandat du gouvernement concernant une pr?sence accrue dans cette r?gion extr?mement rude et vaste du territoire souverain du Canada, il faudra nettement accorder une attention particuli?re ? la mobilit? a?rienne. La souplesse sans pr?c?dent qui existe avec la flotte de CC-177 a donn? au gouvernement canadien et aux FC un outil puissant avec lequel ils peuvent r?agir aux ?v?nements nationaux et internationaux. La population canadienne en est venue, avec raison, ? s?attendre que le gouvernement et les FC auront la capacit? d?intervenir si une crise survient. Les principaux alli?s, comme la Grande-Bretagne et l?Australie ont choisi, en reconnaissance de la valeur du transport a?rien strat?gique, de m?me que face ? la possibilit? de fermeture de la cha?ne de production de C 17 dans un avenir rapproch?, d? ?largir leurs flottes originales de C-17 de 50 % ou plus : l?ARC compte huit C 17 dans sa flotte et l?Aviation royale australienne (ARA) en compte six. 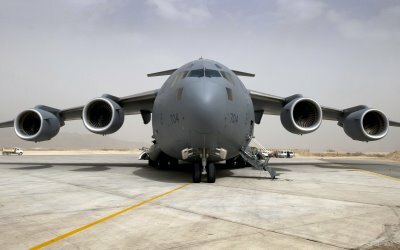 Boeing poursuit ses ventes de C-17 et la soci?t? maintient, pour l?instant, la production continue jusqu?? la fin de 2015. Cependant, ce plan de production est provisoire et si le Canada tient vraiment ? acqu?rir la capacit? et la souplesse que lui procurerai un a?ronef CC-177 suppl?mentaire, il devra prendre une d?cision tr?s bient?t. Un appareil CC-177 de plus permettrait au gouvernement d? ?viter ou de r?duire consid?rablement la n?cessit? de faire appel ? des ressources a?riennes ?trang?res ? contrat pour appuyer les op?rations des FC, donnant ainsi lieu ? d?importantes ?conomies annuelles qui pourraient servir ? contrebalancer les co?ts d?acquisition li?s ? l?ajout d?un a?ronef. Le besoin de faire appel ? des ressources a?riennes ? contrat peut ?tre particuli?rement urgent si des demandes impr?vues surviennent durant la p?riode d?entretien lourd d?crite ci-dessus. Un a?ronef CC-177 suppl?mentaire pour le Canada augmenterait le nombre d?a?ronefs disponibles pour les missions a?riennes d?environ 25 % et permettrait ?galement ? l?ARC de r?partir leur utilisation sur une plus vaste flotte. Cela donnerait au gouvernement une capacit? accrue de r?agir aux crises nationales et internationales, d?appuyer sa strat?gie ?volutive en vue de l?exercice de sa souverainet? sur les terres et les eaux des vastes r?gions nordiques du Canada et de r?duire les co?ts li?s aux ressources a?riennes auxquelles elle fait appel ? contrat. L?Association de la Force a?rienne du Canada recommande fortement au gouvernement canadien d?acqu?rir au moins un avion CC-177 Globemaster III de plus pour l?ARC dans les plus brefs d?lais possibles. o The CF must have the capacity to exercise control over and defend Canada?s sovereignty in the Arctic.
? In addition, the CF must be able to make a meaningful contribution to the full spectrum of international operations ? 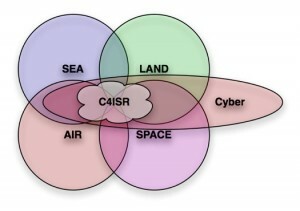 operations which, as evidenced in Afghanistan, Libya and elsewhere, rely highly on information derived from C4ISR capabilities.
? The upgraded CP-140 is considered by knowledgeable observers, from a systems perspective, as being one of if not the most capable multi-mission Long Range Patrol aircraft currently in existence.
? In addition to systems upgrades, as part of the CP-140 modernization process, DND also took steps to extend the Aurora?s available service life through the Aurora Service Life Extension Program (ASLEP). While all 18 Auroras were originally expected to be life extended, the announced plan is for only 10 aircraft to go through ASLEP. This will result in a significant degradation in Canada?s C4ISR capabilities by the end of the decade unless steps are taken to resolve the issue.
? The CFDS originally called for the Aurora fleet to be replaced with 10 to 12 modern maritime patrol aircraft (MPA) in about 2020 as part of what was characterized as a surveillance ?system of systems? : manned aircraft; unmanned aerial vehicles (UAVs); and satellites. While plans are somewhat unclear, it has become increasingly evident of late that at least the MPA portion of this plan will not happen in a timely manner.
? Modernizing the CP-140 Aurora has provided new life to the Aurora fleet and has given the CF an outstanding ability to carry out joint (land, sea and air) C4ISR missions, at home and abroad. As demonstrated in recent operations near and over Libya, the aircraft has the ability to conduct surveillance over land or water; to command and control joint forces; and to conduct other complex C4ISR missions of great value to Canadian and Allied Joint Force Commanders. Of course, the CP-140 also retains an outstanding ability to carry out anti-submarine warfare operations should these be required.
? While there is potential for the CP-140 to be replaced by a comparable Multi-Mission Aircraft (the Boeing P-8 Poseidon being one example) it appears increasingly doubtful that the defence budget will allow acquisition of such an aircraft before non-ASLEP CP-140s run out of available service life. There is also concern that other elements of the surveillance ?system of systems? foreseen in the CFDS may be delayed.
? Under the circumstances, AFAC considers the most prudent course of action would be to upgrade as many of the available CP-140s as possible to allow this critical platform to continue to operate until approximately 2025 ? 2030. In addition to ensuring Canada?s existing AIMP investments are not squandered, this would give DND time to investigate and move forward with alternative (and perhaps currently unforeseen) C4ISR solutions.
? The CP-140 Aurora currently represents a critical strategic C4ISR capability, one which will be increasingly important to Canada in the future for deployed operations, coastal surveillance and Arctic sovereignty.
? The CP-140 is a multi-mission platform capable of contributing to operations over land and sea and across the full spectrum of operations, from search and rescue to combat.
? Canada has made a significant investment over the past decade to modernize the CP-140?s avionics and sensor systems. As a result, the aircraft has capabilities which now match or exceed those of the most technologically advanced ISR platforms available to Western military forces.
? Given the uncertainty that currently surrounds DND?s overall capital program, AFAC believes it would be prudent for Canada to structurally upgrade as many Aurora aircraft as possible (up to 18) thus preserving the maximum C4ISR capability possible over the next decade and a half.
? The CF18 fighter fleet has been projected to reach its estimated life expectancy in the 2017-2020 timeframe, or potentially a few years beyond that. There is every indication that there will be a continuing need for a manned fighter capability, both domestically and abroad.
? Although the F-35 was selected by the Government as a replacement, criticism of the choice has resulted in an initiative to push the ?reset? button on the project. Work is currently ongoing to conduct an in-depth options analysis to assess the capabilities and costs of the fighters available, with a view to providing to Government comprehensive information with which to decide the way ahead. This work is being monitored by an independent panel to ensure that fairness and due diligence prevails throughout the process.
? It is expected that the outcome of this work will be confirmation of the fighter chosen or, potentially, the initiation of a competition.
? The Canada First Defence Strategy, released in May of 2008, confirms the Government?s commitment to a manned fighter capability and its affordability in the long term defence budget. Several high-level mandatory requirements for a next-generation fighter have been established and substantiated repeatedly by the RCAF. Canadian requirements for domestic operations, those in conjunction with the US in NORAD, and those which may occur elsewhere globally all support the need for a very capable, modern fighter. Moreover, given the propensity for Canada to extend aircraft life as long as economically possible, a new fighter fleet must be supportable and operationally relevant over decades of service.
? The media attention given the F-35 decision since the announcement in July 2010 has been unprecedented. In addition to being a major election issue, many who are critical of the decision or the Government have not hesitated to misrepresent the facts related to aircraft capability, cost, international support, flight test progress and production delays. As a result, members of the general public, with limited information beyond that provided through the media, have been bombarded with largely unbalanced and negative reporting.
? Moreover, the fighter replacement project has been impacted by other defence procurement failures and issues. This has caused some to question the competency of the Government itself, but also that of DND staff involved in managing the project.
? While the political sensitivity that precipitated a re-examination of options persists, it is important to keep in mind the fundamental objective: to procure a new fighter aircraft that will serve Canada?s needs for approximately the next forty years.
? A corollary desire to provide quality opportunities for Canada?s aerospace industry should also be kept in mind. An extensive delay in making a decision may well cause Canadian companies to lose opportunities to bid on further F-35 contracts. 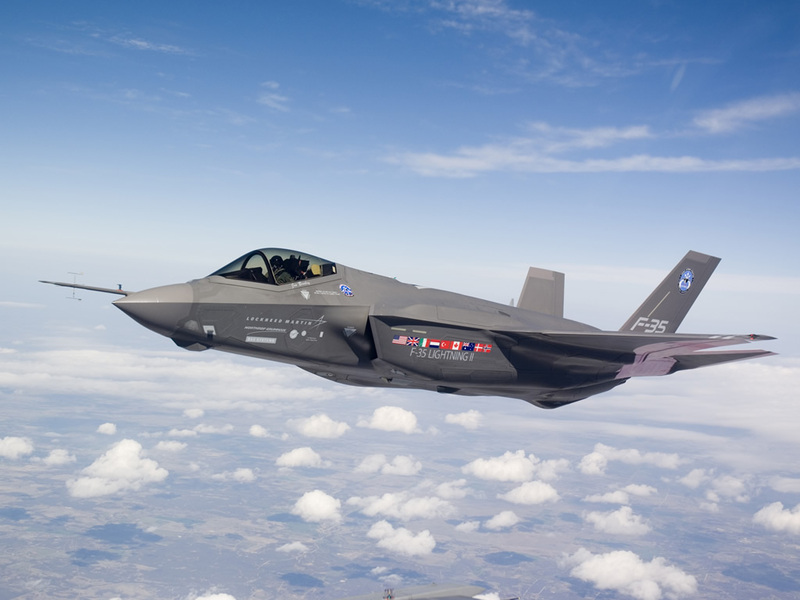 Given the extent of contracts already won and the potential for many more over the full life of the F-35 fleet, an early decision is favourable.
? There is clearly a need for a capable next-generation fighter, as stated in the Canada First Defence Strategy. Operational experts in the RCAF have developed and defended operational requirements and their perspectives should be respected, given their expertise and personal experience in the conduct of fighter operations.
? Misinformation and disinformation spread through the media should be corrected by the Government, DND and PWGSC. Media and political opponents should themselves adopt a more balanced approach and refrain from using this issue simply as a proxy to attack the Government. This matter is extremely important to national security and the Canadian public deserves to receive a more balanced analysis of issues such as costs and capabilities, for example.
? An early conclusion of the options analysis process and a decision to proceed with the acquisition of a new fighter will permit the timely signing of a contract and the orderly transition from the current fleet to a new one before the CF18 is time expired.
? While the need to address a critical military capability is primordial, the opportunity for Canadian industry, or the loss of opportunity if a decision is delayed, must be kept in mind. 5,500 for the Regular Force and 6,800 for the Reserves. new generation of people that may not be focused on a lifetime career in the military. and is ramping-up to try to deal with attrition and the demand to grow the Forces. DND’s budget, will take many years to achieve. compensation, Reserve employment options, etc.). approximately 20% below PML while the Pilot trade is around 16% below PML. example, that of growing Canada’s fighter fleet). to effectively deal with the broader challenges he is facing. the outcome is not particularly predictable. to support a more traditional Reserve employment model. successfully) seeking to hire experienced RCAF pilots. within the aviation sector driven by global commerce and technological changes. manner because of the complexities associated with the approval process. when they would likely otherwise have gone to the civilian market. current system does not offer this flexibility. ● The CAF is considering the potential for creating a more flexible pay and rank structure. incentives for those trades that are significantly stressed. protect the investment made in the skills and experience of RCAF personnel. greater use of Class B/C personnel to meet urgent RCAF manning requirements.